He's only 8 weeks old, but has been through so much. 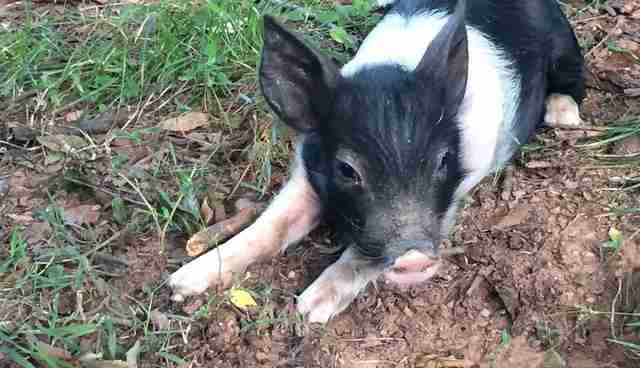 Oreo, a black and white piglet, has been through quite a lot, considering he's only 8 weeks old. He started out in West Virginia, where people were selling him by the side of the road. Then he wound up being bought and brought into a home as a pet. 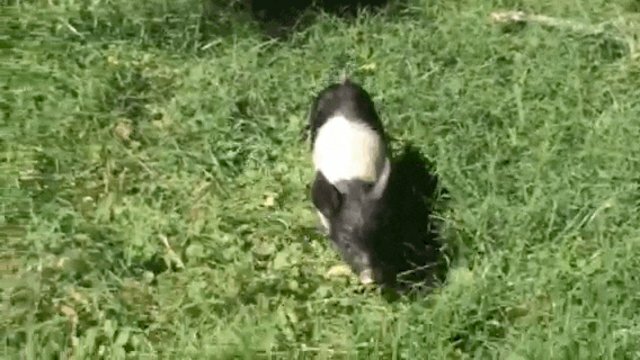 The family, who already had a few pet dogs, thought the little pig would stay mini, but when little Oreo got sick, they took him to the veterinarian's office where they learned that actually Oreo would grow up to be a very big pig. That's when the family got in touch with sanctuary.org/">Poplar Spring Animal Sanctuary, a 400-acre sanctuary in Poolesville, Maryland. 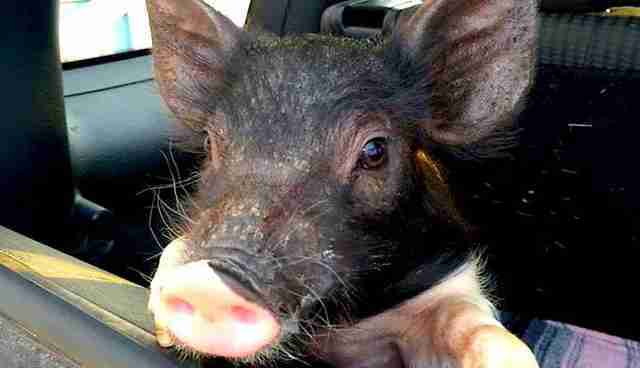 "They loved him but knew he would be too big to live in their house," the sanctuary wrote. 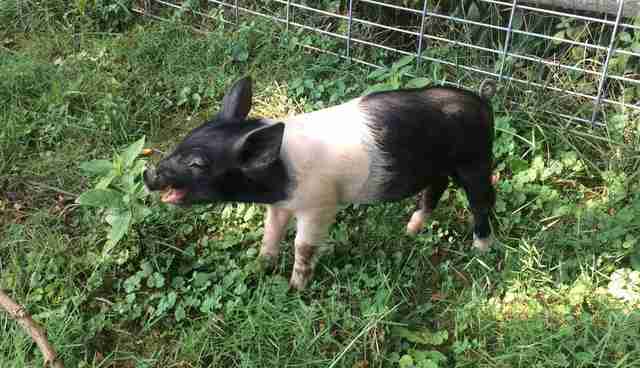 Reo arrived earlier this month at Poplar Spring, but the little pig wasn't jumping for joy - in fact, he was very sick. 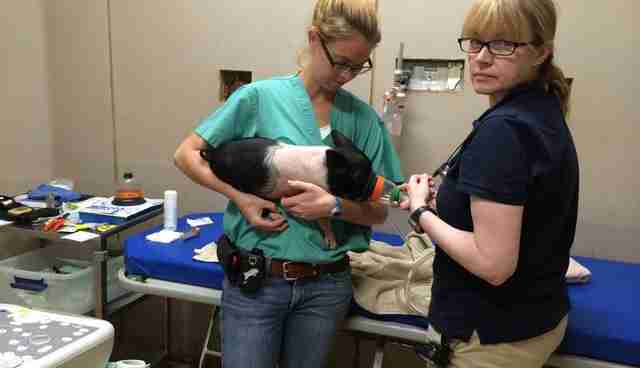 "He was very lethargic and having trouble breathing," the sanctuary wrote. "By that evening he was open mouth breathing and falling over." 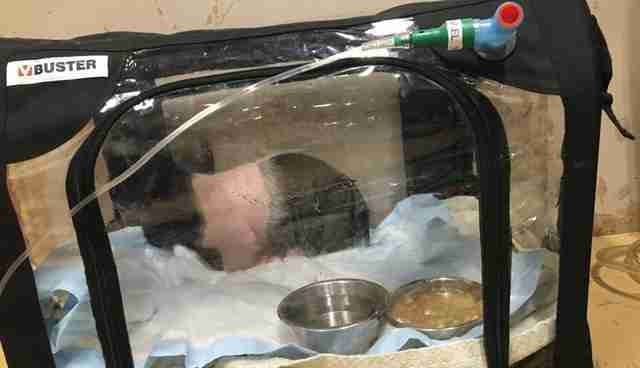 Oreo was rushed to New Bolton Vet hospital, where he was diagnosed with pneumonia that was so bad he had to be put into an oxygen chamber. If vets hadn't seen him so quickly, Oreo's life could have been over before it really began. On Saturday, he finally came home to the sanctuary that will be his home forever. 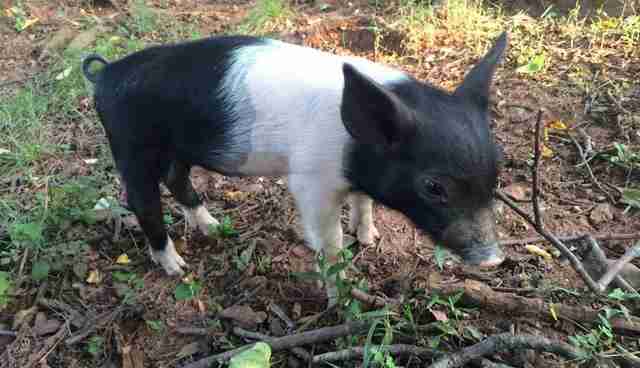 "He is feeling SO much better and he is starting to run and play like a healthy piglet now," Terry Cummings, director of Poplar Spring, told The Dodo. "He gets tired easily, and is still on antibiotics, but we are very hopeful for a full recovery."